Community | Our school is a community, characterised by team spirit, competence and reliability. At our school children from over 30 nations learn to treat each other with respect. Self-image | We are a German school. Traditional values and democratic ideals are key elements that have a particularly high priority when describing our identity. Tolerance, respect and democratic thinking are part of our foundation. We are open to other cultures, in particular the Arabic culture of our host country. Educational range | Our school offers a wide range and provides long-lasting support in developing the personalities of our pupils. We learn and teach with pleasure and creativity. In so doing we pay special attention to promoting social skills. Education | We promote and encourage our pupils individually and in a differentiated manner. We are thereby oriented towards the current German standard of education. Our pupils receive a comprehensive general education that stands for quality and professionalism. Training | In the Kindergarten, the Primary School and the Secondary Level the philosophy of a holistic education is paramount. Our pupils learn with “heart”, “hand” and “brain”. They grow into critical, committed and creative personalities who assume responsibility for themselves and others. School community | We create a positive working environment in which learning and teaching give a great deal of pleasure. Together we foster our German cultural heritage and celebrate our traditional festivals. 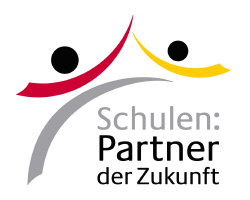 Quality | We guide our pupils to the educational levels that are best for them according to German standards. Our goal is to offer an excellent quality in education and training. Innovation | Our pupils are given the skills to think critically and to develop strategies to solve problems. We prepare them for the future. Cultural exchange | Encountering the Arab culture, the values and the language of our host country is the motivation for a successful intercultural dialogue.